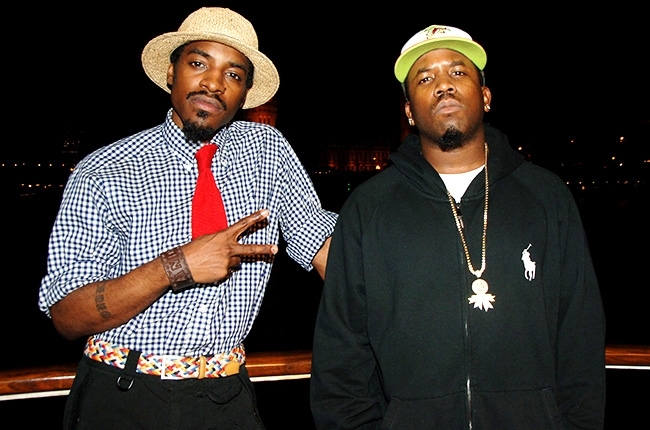 In today’s Good News of the Day, OutKast released the latest planned stop for its long-awaited reunion this year, fortified by a 40-date festival tour. The tour will indeed make it to the shores of Lake Michigan, but not to the city you may have first thought — not yet, at least. The Great Lakes states will get at least one clear shot at seeing the ATL’s Dynamic Duo in action once more and it will be at Milwaukee’s Summerfest, the legendary group will headline the festival at its Marcus Amphitheater on the night of June 29. ‘Kast has periodically trickled out the dates that it plans to do this year since the initial announcement of the reunion tour last month, beyond the Milwaukee date. Other stops so far include Drake’s OVO Fest in Toronto in August, New York’s Governor’s Ball and the always-notable Coachella in California in April, which will kick off this year’s run of performances. To make this a little personal, the author highly recommends Summerfest, having been there previously to see The Roots in 2009, their first year of a reduced touring schedule after being hired to back up Jimmy Fallon. A quick description of Summerfest, which bills itself as “The World’s Largest Music Festival” and has been the biggest party of the year in Milwaukee and Wisconsin proper since 1968: basically your favorite jam band festival (with 11 stages playing at once) colliding with Chicago’s Taste festival and all of the stages are free to partake of once you pay to enter. That was the case with The Legendary and with many other great musical acts who in other venues you’d pay at least $30-40 dollars for, but it won’t be the case for ‘Kast in the Marcus Amphitheater, which hosts the biggest pop acts of the festival — just about anyone you can name from Led Zeppelin and Bob Dylan back in the day to Mary J. Blige and Kanye West more recently. This year will also feature Bruno Mars, Lady Gaga and Dave Matthews Band. Yes, it will be nice to see one of the biggest groups of my lifetime in my city, but the options are dwindling. An initial contender, the ever-growing Pitchfork Music Festival, has already announced its full list of players, including Beck and Kendrick Lamar at the top, but no OutKast. The most obvious Chicago contender when the festival tour was first announced was Lollapallooza, which has become the biggest single-site music festival in the world since taking root in the Chi, but some good reporting at Consequence of Sound has revealed that Lolla has a radius clause that restricts acts from headlining any festival that takes place within a 300-mile radius of it in the immediate months surrounding Lolla, the site says that only Weezer and Wilco have ever headlined both Summerfest and Lollapallooza in the same year. Now, the reunion of OutKast is indeed as worthy as mid-career Weezer and Wilco were of doing this double dip. I would hope that Perry Farrell wouldn’t sleep on one of the great forces in modern music. Still, if he does, there is also the possibility of the North Coast Festival, which has highlighted Labor Day weekends here the last few years and North Coast has had a series of top hip-hop headliners over the years including Nas and a re-formed Wu-Tang Clan last year. As it stands, we can only cross our fingers and hope that one of those upcoming lineup announcements gives our city maybe our final chance to see Dre and ‘Twan up close, unless they’re willing to do the Blues Fest — got to fill out those 40 dates somehow.